We’re still a couple of weeks away from Black Friday, but some tempting deals are already starting to pour in. U.S. retail giant Walmart has just announced some great deals, especially if you’re planning to buy one of the top-end flagship smartphones from Apple or Samsung. The deals will be available online starting at 12:01 AM EST on Thanksgiving day, and at 6 pm local in the company’s retail store. 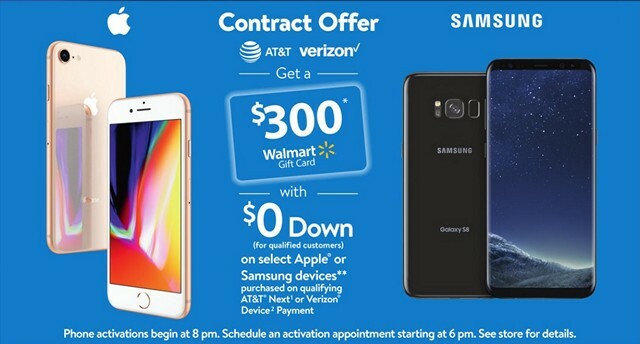 If you’re willing to purchase either an Apple or Samsung flagship with an AT&T Next or Verizon Device installment plans, Walmart will deliver a $300 gift card that can be used across their stores. The Apple devices that qualify for the deal include the iPhone 7, 7 Plus, 8, 8 Plus and even the latest iPhone X. As for Samsung devices, the Galaxy S8, S8 Plus and Note 8 buyers will also receive the gift card. 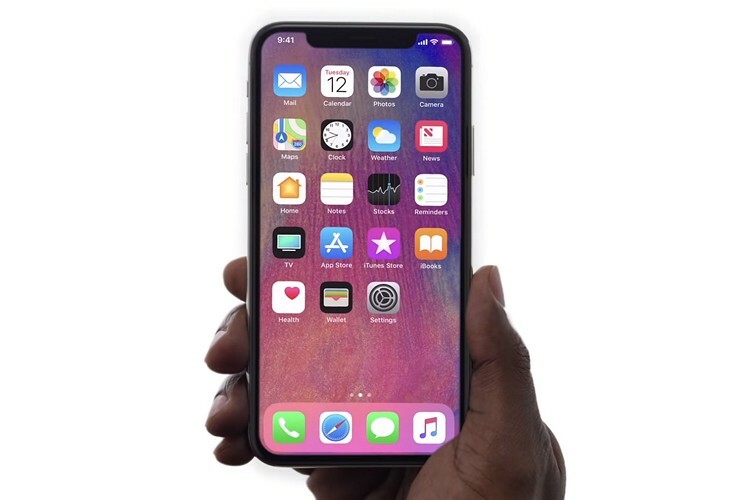 The fact that we’re able to save $300 off the $1000 iPhone X that launched just a week ago definitely took me by surprise. So, if you’re interested, make sure you’ve hit the Walmart app early on Black Friday. The activations for the aforementioned phones will begin at 8 pm on November 23. Customers will be able to schedule a store appointment for activating their phones starting at 6 pm. Walmart will only give you its $300 gift card only if you get your newly bought phone activated by November 26. If you’re opting to go with AT&T rather than Verizon, you’ll have to choose at least the $50/month talk and data plan for new customers in addition to the requirement of AT&T’s Next or Next Every Year installment plan. As a result, the cost of the iPhone X is broken down into even monthly payments. Apple’s latest flagship can be yours at $41.63/month if you’re on the two-year payment play, but when you consider the value of Walmart’s $300 gift card, the effective price you’re paying every month drops to $29, which is quite reasonable to be honest.